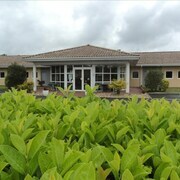 This property is amazing, room spacious, bed very comfortable, only problem with room is bathroom is outside of room and not good if you have to use bathroom during the night , also there is no tea or coffee making facilities which is a shame,as you would need some kind of refreshment during your stay.and the Château doesn’t offer any facilities for food or drinks after breakfast Having said all this weI would stay here again we enjoyed so much !!!! Where to find Saint-Genes-de-Castillon hotels near an airport? Where can I find hotels in Saint-Genes-de-Castillon that are near tourist attractions? 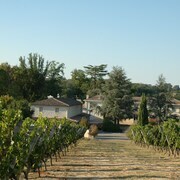 Are you traveling in Bordeaux Wine Region and are searching for somewhere to stay in or around Saint-Genes-de-Castillon? Within 0.1 kilometres (0.06 miles) of central Saint-Genes-de-Castillon you'll discover 4 Expedia-recommended hotels from which to choose. There are some Expedia hotels within a 10 kilometres (6 miles) radius, like the Château de Courtebotte and Château Fleur de Roques. The Chateau Hotel & Spa Grand Barrail can be found 10 kilometres (6 miles) away from the middle of Saint-Genes-de-Castillon. 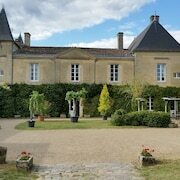 Another accommodation option is the Chateau Camiac, which is positioned 25 kilometres (15 miles) away. 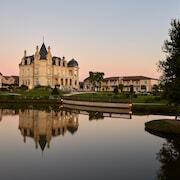 Alternative hotels and apartment options include the Château de Sanse and the Les Logis du Roy. Consider spending a few hours visiting Eglise Monolithe and Le Donjon du Roy, which you'll find in Saint-Emilion, 8 kilometres (5 miles) to the west of Saint-Genes-de-Castillon. Should you wish to visit Saint-Emilion, check Expedia's booking pages for the latest deals at the Château Belles-Graves and Auberge de la Commanderie. Alternatively, you could stay in Blaye, 55 kilometres (34 miles) to the northwest of Saint-Genes-de-Castillon, where you can pick from the La Citadelle and Château Rousselle. 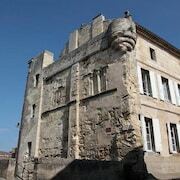 If you stay in Blaye, set aside a little time to visit the Maison du Vin de Blaye and Chateau Marquis de Vauban. If you like sports and like to watch local games you might choose to head to Chaban-Delmas Stadium, which is 45 kilometres (27 miles) to the west of Saint-Genes-de-Castillon. 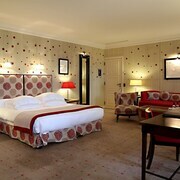 Book accommodation right near the action at the Intercontinental Bordeaux Le Grand Hotel or the Le Boutique Hotel. Merignac Airport is a nearby airport for arriving in Saint-Genes-de-Castillon. It is 50 kilometres (31 miles) drive away. If you plan to stay nearby, try the Château Pape Clément - Bernard Magrez Luxury Wine Experience or Mercure Bordeaux Aeroport. What are the most popular Saint-Genes-de-Castillon hotels? 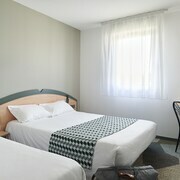 Are there hotels in other cities near Saint-Genes-de-Castillon? 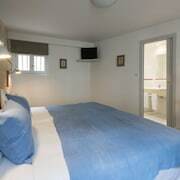 What other types of accommodations are available in Saint-Genes-de-Castillon? Explore Saint-Genes-de-Castillon with Expedia.ca’s Travel Guides to find the best flights, cars, holiday packages and more!